One organization has emerged as the go-to entity for Republicans who want to actively work to ensure Donald Trump does not win the Republican nomination. New Day for America, a super PAC backing Republican presidential candidate John Kasich, is the most aggressive GOP entity targeting the front-runner and is fast becoming the central organization for donors who think the party must act to stop Trump from winning their party's presidential nomination. New Day has even attracted donors who are already backing Republican candidates other than Kasich, including some supporting former Gov. Jeb Bush and Sen. Marco Rubio who say they want to help defeat Trump. And that influx has yielded the most well-financed attack strategy so far this election season. Matt David, a senior strategist for New Day, said the group has raised “a couple hundred thousand dollars” from such donors since the group has shifted its focus toward criticizing Trump, and has pledges for more than a million dollars. The additional money raised will be used to expand the effort beyond New Hampshire into Iowa. New Day is one of the few groups dedicated to the dump-Trump campaign - a strategy that not all Republican agree is necessary and some think is risky. Fellow presidential candidates have been reluctant to take on Trump directly for fear of reprisals and alienating his supporters. David said the effort started after a "vocal majority" of donors urged them to do something about Trump. Donors insisted, he said, that “someone has to put forward a paid, sustained effort to stop him" because they are concerned that his controversial rhetoric and lack of experience will hurt the party in the general election. Floyd Kvamme, a former partner at Kleiner Perkins, is one of those donors. He has given $100,000 to the organization and said he had “a couple of phone calls” with people at New Day about his concerns with Trump, encouraging the group to act. “The approach Trump was using was not a good one and I thought harmful to the (Republican) Party,” Kvamme said, calling Trump “demeaning and hateful” and “not qualified to be president." Donors’ urgency culminated in the highest-funded effort to date: a $2.5 million fully-financed commitment in New Hampshire on radio, television and direct mail advertising until the primary in early February. New Day is currently running a television ad in New Hampshire that compares Trump's lack of experience to that of President Barack Obama, without using Trump's name directly. The narrator says “on the job training for president does not work,” implying that Trump’s lack of political experience is dangerous. “We have to paint that picture of what Donald trump would look like as commander-in-chief, which is scary and ineffective,” David said. 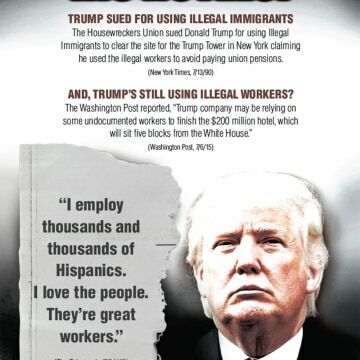 A brochure expected to be sent to New Hampshire voters in coming days who are leaning toward Trump uses the hashtag #TrumpHypocricy and says, “If Trump kicks out all the immigrants…who will build his hotels?” citing news reports that say Trump relies on undocumented immigrants on his construction sites. Kasich, who is not legally allowed to communicate with the super PAC supporting him, has increasingly grown frustrated over the dominance of Trump. He has derided the candidate on the campaign trail and on social media, but it’s the super PAC backing him that has taken it further. David dismissed the argument that the primary focus on Trump will do little to benefit Kasich. He said that with Trump's decline, Kasich will rise. "We believe over the course of the next two months we will start to see Trumps numbers disipate and it will provide an opening for the more accomplished candidates to emerge, and we believe Gov. Kaisch is best positioned to do that," David said. Many in the Republican establishment agree that the nomination of Trump could hinder the Republican Party's chances at electoral success, especially in House and Senate races. “When you have someone potentially polarizing at the top of the ticket, that puts our incumbents in danger,” the official involved in down-ballot races said. Establishment Republicans, however, are divided on what to do about Trump. 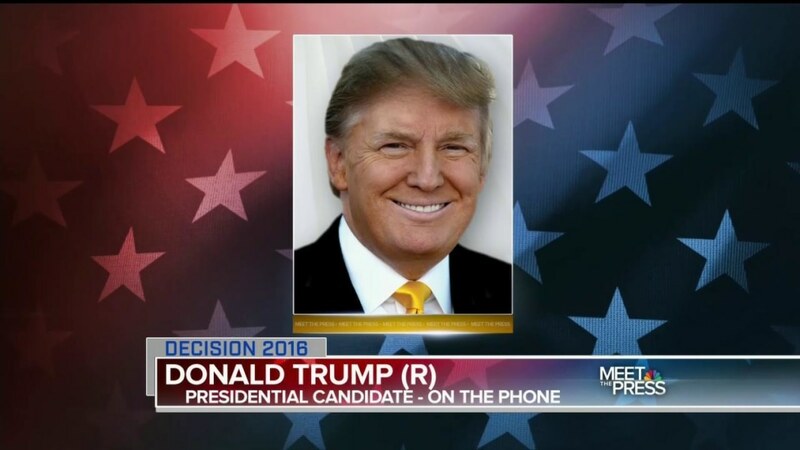 Some say that time – not millions on attack ads – will take down Trump. One Republican political operative predicted that Trump’s support has hit its ceiling, unlikely to rise much above 25 percent, since he doesn’t receive much support from independents. Any effort to draw attention to the off-putting things Trump says, the operative believes, won’t dissuade his supporters who like his no-holds-barred style. And that’s a popular position of many in the Republican Party who don’t want to see Trump winning the nomination. But there are some in the party who don’t want to sit idly by and hope Trump’s nomination fizzles. Doug Sachtleben, communications director for Club for Growth Action, a super PAC supporting candidates with conservative fiscal policy, says their $1 million ad buy in Iowa in late September did have an impact. He says their internal pollster found that Trump’s numbers dipped immediately after the three-week push to 16 percent – the lowest point he’s been in the state since July. Club for Growth Action is currently fundraising for a second round of anti-Trump advertising.